"I think you need to go," he says. Jordan Henderson informed an LFC TV crew member his wife was having a baby during a question and answer session for Liverpool’s YouTube channel. 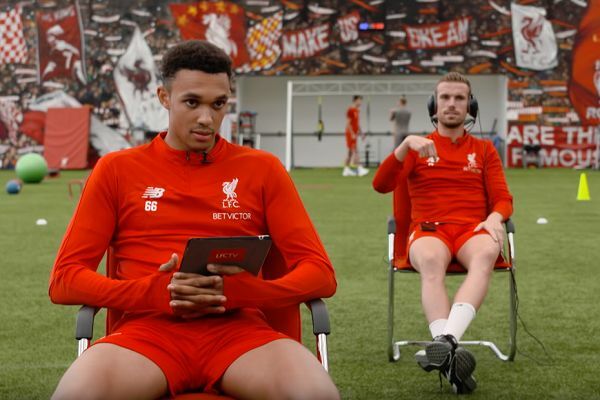 In an item testing how well Henderson and his teammate Trent Alexander-Arnold know each other, a phone the Reds captain is holding suddenly buzzes. The question of which teammate Henderson wouldn’t want to get stuck in a lift with is halted as he asks aloud who the phone belongs to. “She’ll be okay for 20 minutes,” comes the reply, eliciting laughter from the two players.